Site location is probably the most important factor in determining success for the majority of businesses. Poor location is among the chief causes of all small business failures. In small business, you must be willing to pay for a good location. The cost of the location will often reflect the volume and/or quality of the business you do. Your target market and consumer demographics, such as age, income, lifestyle, etc. will play an enormous part in where you decide to locate your business. Knowing the demographic profile of your potential customers will help you to properly evaluate an area as a potential location. You should already have an idea of your target market through conducting thorough market research. By having an understanding of exactly who your target market is, you will have an idea as to the best place to locate your business in order to attract the highest number of customers. Choosing a specific site within that area. Is the population base large enough to support the business? Does the location have a stable economic base that promotes a healthy environment for your business? Are demographic details compatible with the market you wish to attract? Any decision you make should be based on your business' needs and goals outlined in your market research. An area's economic base determines your business opportunities and will give you an idea of the long-term financial viability of a particular area. The wealth produced, in or near the area in which you decide to locate your business, has a flow-on impact. If work is scarce and unemployment high, obviously there will be diminished disposable incomes. Spending would be tight and could impact on your business’ financial success...unless of course you are in a business which attracts the poor demographic. The occupational make-up of an area will also play a part in your business' success, depending on the individual circumstances of your business. You will need to assess your business' suitability to particular areas, for instance, industrial areas, tourist spots, high-income areas, etc. Apathetic attitudes of local business owners and other residents. When researching business locations you should make a distinction between the flow of traffic past the potential site and the flow of pedestrian traffic. If cars alone were considered the major basis for business location, most businesses would be located near highways or main roads. This is not necessarily the case. It should primarily be pedestrian traffic upon which you will need to consider. It is also important to remember that if you are in a convenient location, not necessarily one which is in the heart of a shopping area, you will find customers are willing to travel to you for the service/products you provide as long as they know where you are. The percentage of pedestrian traffic likely to buy from your business. Are these the type of people who would be interested in what your business provides? Why are they at the location at this time? If possible interview a few people passing by the site you are considering. Do they feel a need for your service/product in the location? Would they visit your business? What kinds of service/product would they be interested in using/buying? It is also important to keep in mind that locations with heavy pedestrian traffic will usually demand higher rental prices. Does your chosen site provide easy, adequate parking and access for clients? Is the parking area in good condition? For example, are there huge potholes or does it need to be resurfaced? These could all be costs which may fall back on the businesses in the area. It is important to consider if provisions have been made for disabled drivers and whether specific parking bays have been allocated as disabled. You also need to provide for disabled people or people who are pushing prams etc. If you sell baby clothing and you are located on a floor with only steps to access it - you will lose loads of potential customers. The proximity of your neighbours is important to keep in mind when researching business locations. Make sure you look around the potential site and assess the types and styles of neighbouring businesses. Note whether the presence of certain businesses will work against you or be an advantage to your business. Consideration should be given to those businesses which are similar to yours or who are in direct competition. It is also important to remember that some competition may work to your advantage, particularly if the location you are considering is known for providing particular services or products. Location selection will also be influenced by the anticipated sales volume of your business. For most businesses only one medium or large volume operation can successfully operate in a given business district if it is providing the same service/products. Therefore, you must give due consideration to those businesses in the area you would be in direct competition to. However, on the other hand, it is worth considering whether that competition would help attract customers to your business and if you can provide the service/product more competitively than your business neighbours can. Even if you are not overly superstitious, it will pay to check the recent history of the location/site you are considering before making a final decision. There are problem locations. These may be sites which have been the location of a string of failed businesses, vandal attacks, etc. There could also be planning problems or proposed council rezoning. This can be checked with your estate agent or the local council planning department. If you find premises in a location that you like, but are considering making alterations to the building, make sure you check the area zonings and required permits you would need with the local council before going through with any major decisions. The same applies if you decide to build your own business premises. Certain areas are "zoned" for certain uses, for instance commercial, industrial, residential, mixed, etc. Within each zoning there will be limitations as to the kind of work and business that can be carried out. There may also be other planning restrictions concerning building works and additions to premises. It is very important to make sure you check the zoning of a particular site that you are considering. You do not want to enter into a lease agreement or buy premises, only to find that you are not permitted to operate your type of business in that area or there are planning restrictions which may have a detrimental impact on your business plans. Change the use of a building. There may be some occasions where a building permit may be exempt (you will need to check with the individual council). Articles on footpaths. 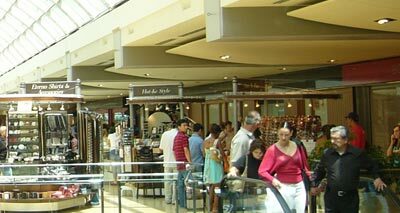 For instance the display of merchandise, advertising signs, tables, chairs, trading from the footpath. Visual amenity: Generally concerning owners and occupiers of land lot allowing the site to become unsightly or detrimental to the amenity of the area. Building Inspections: Once a site has been chosen it is vital you have the building inspected to make sure there are no "surprises" lurking, such as termites, structural problems, etc. Council building inspectors are available to carry-out such inspections. Property Information Certificates: You can request these certificates from the local council authority. The certificates contain information such as Stormwater Discharge Permits, copies of plans and related documents to the site, council discretions (buildings over easements, siting modifications). There may be a fee involved. Building Safety Advice: There are certain standards which need to be maintained when it comes to building safety. Issues such as fire safety, exit doors, fire extinguishers and emergency lighting. The council will be able to give you advice concerning your role and requirements when it comes to building safety standards. The local council will be able to assist you when it comes to area zonings and planning permits. Council listings can be found in the White Pages or the Yellow Pages. If you are uncertain which council “governs” a particular location, ask your real estate agent or you can also contact the municipal association in your state. You will find many councils now have their own Web sites which provide valuable information on building services and local laws. Another good source of information is the Australian Building Codes Board. The process depends on where you are in the world. Some time there are exemptions. Again this will depend on which country you are living in. farm buildings and land (excluding buildings used as offices or for other business activities), fish farms, places of public religious worship, buildings used for training or welfare of disabled people. Business rates are usually worked out by multiplying the rateable value of your property by the business rates multiplier. The rateable value of a property is usually based on its estimated open market rental value on a specific date. Therefore if your business is located in a busy city you are more likely to have to pay more business rates - of course you are more likely to have a bigger turnover as you'll have more footfall for your business.